At the start of a college course, an instructor gives the students a copy of the course syllabus. The syllabus provides a brief overview of the subject and objectives of the course along with various details that students need to know to be successful in the class. These details may include the instructor's contact information and office hours, required textbooks and materials, grading policies, attendance policies, and other class rules and guidelines. A syllabus will often contain a tentative assignment schedule, or at least an outline of the topics that will be covered. A syllabus is not meant to be a rigid contract, but rather a guide to communicate the instructor's expectations for the class and to help students succeed. There are some excellent resources to help an instructor prepare a syllabus listed at the bottom of this page. 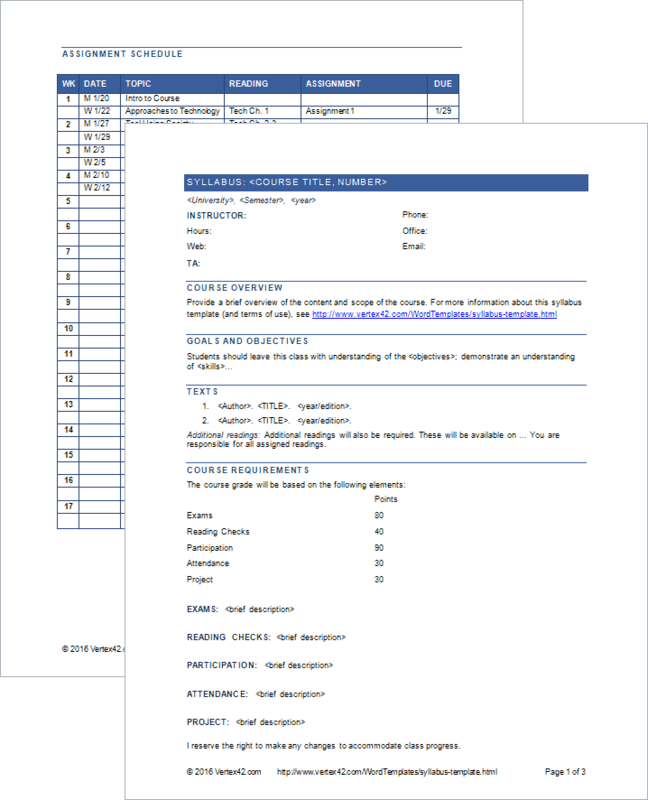 This syllabus template provides an outline for a common college-level course. It was designed to provide the formatting and layout, but it also contains some sample text that you will want to either remove or modify. The example assignment schedule is just a simple table in Word. 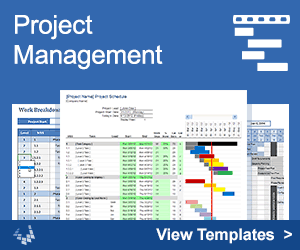 You can insert rows or delete columns as needed. You should probably change the heading to "Tentative Assignment Schedule" so students understand that changes may be required. The more familiar you are with the course, the better you will be at creating a realistic assignment schedule. If you haven't taught the class before, you may want to leave the due date and assignment columns blank so students can fill in the blanks as the course progresses. If you are a new instructor and have not created a syllabus before, I would recommend at least skimming the resources listed below. Writing a Syllabus at cornell.edu - A detailed guide to writing a comprehensive syllabus. Designing a Course - The Syllabus at cmu.edu - Part of a general and detailed guide for designing a college-level course.